The Plateau State Government says it has directed securities to go after the perpetrators of recent attacks in its local communities. The State Governor, Simon Lalong in a statement through the State Information and Communications Commissioner, Mr. Yakubu Dati said securities have equally been directed to make "effective coverage" of all 'flashpoints' in the state to prevent further threats to lives and property. 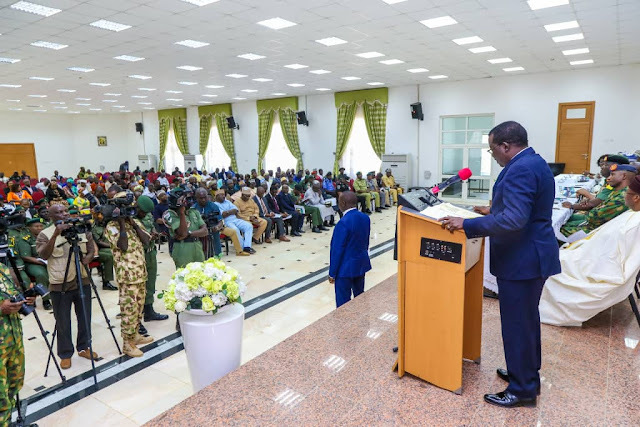 Mr. Lalong reacting to the renewed attacks in parts of the state vowed to sustain the peace in the state despite efforts by "conflict merchants" to cause public fear. "Recent reports of attacks in parts of Fan district of Barkin Ladi Local Government should not be seen as victory of evil forces but an act of desperation to take the state back to the ugly past," he said. At least five deadly attacks have been recorded in the past one week with nearly 20 people killed. No arrest has so far been made but survivors say their nomadic herdsmen neighbors carried out the attacks.